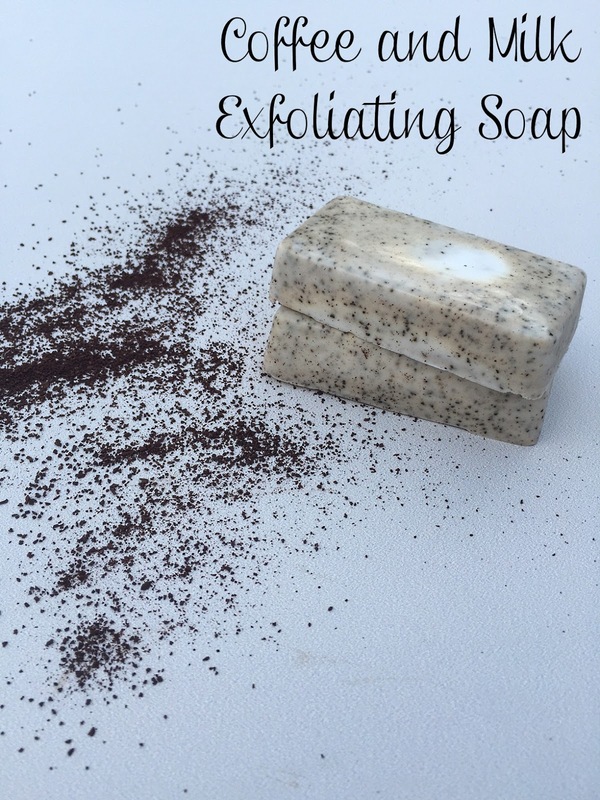 Making this Coffee and Milk Exfoliating Soap, is incredibly easy! You need just 2 ingredients! I used a Goat's Milk Base from Hobby Lobby and unused coffee grounds. -Quickly add in your coffee grounds, stirring to combine well. They are exfoliating so they slough off dead skin cells, Caffeine tightens the skin and Coffee brightens the skin! It's perfect to add to soap!